Join me for my reading series at The Standard Hollywood on October 25th. The theme of this reading aims to inspire voter turn out this election season. 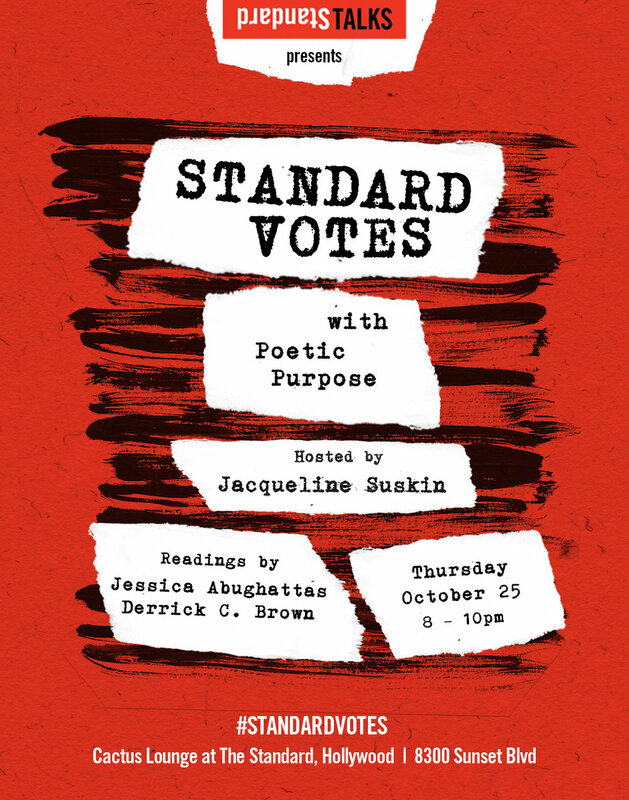 This month I’m joined by poets Derrick C. Brown and Jessica Abughattas. Come and get riled up with us in the Cactus Lounge FREE- 8pm.